Liberal Dan Radio 4/20/2016: Why Bernie Sanders wont win over the superdelegates. The day is 4/20 and it is the traditional day of weed smokers everywhere. I will give some commentary on what I feel about the prohibition of marijuana and what our country should do about it. But for most of the show I will be discussing the several issues pertaining to the 2016 primary elections, specifically why I believe Bernie Sanders will be unable to win the superdelegates that he would need to obtain the nomination of the Democratic Party. Remember, if you want to help support the podcast please contribute at the Liberal Dan Radio GoFundMe page. On the February 5th, 2015 episode of Liberal Dan Radio I will be discussing the topic of Marijuana legalization with Raeford Davis from Law Enforcement Against Prohibition (LEAP). As a six year veteran of the City of North Charlston Police Department Mr. Davis saw the problems with how we enforce drug policy and will come on the program to discuss the group and his personal feelings on why we need a change in our drug policies. 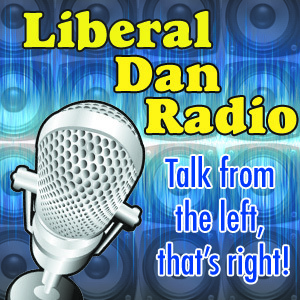 That issue, headlines, tweet of the week, and more will be discussed at 8pm Central on Liberal Dan Radio: Talk From The Left, That’s Right! And if you wish to support the show or buy advertising, please check out the Liberal Dan Go Fund Me page.